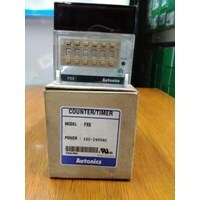 Timer Counter Autonics.Jual Counter/ Timer FX6 Autonics.-Negara Asal Produk: Korea - Volt: 100- 240 VAC / 50/60 HzDUNIAELECTRICAL.COM: Menyediakan Berbagai Macam Perlengkapan dan Peralatan Listrik seperti Counter / Timer Autonics.DUNIAELECTRICAL.COM: Toko Listrik Online Jual Produk Atonics Murah seperti Jual Timer Autonics, Jual Temperatur Autonics, Jual Proximity Switch Autonics, Jual Digital Counter Autonics, Jual Photo Sensor Autonics dllDUNIAELECTRICAL.COM: Harga Murah, Barang Berkualitas !!! 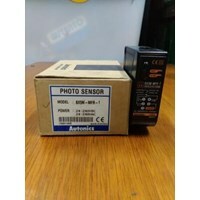 Photoelectric Sensor Switch AutonicsPhoto Sensor BEN300- DFR Autonics- 24- 240 Vacduniaelectrical.com adalah toko Listrik di Glodok menjual berbagai macam Aksesoris Listrik seperti Photo Sensor Autonics, selain produk Photo Sensor Autonics kami menyediakan produk Proximity Switch, Photoelectric Switch, Limit Switch, Temperature Controller, Timer, Magnetic Contactor, MCB, MCCB, Thermal Overload Relay, Temperature Controller, Timer, Counter, Counter/ Timer, PLC ( Programmble Logic Controller ), Inverter, Magnetic Contactor, MCB, Auto Breaker, MCCB, Circuit Protector, Kabel, Box Panel, Aksesoris Panel, Lampu, Temperature Fuji, Temperatur Hanyoung, Temperature Controller Fotek, Temperature Shinko, Temperatur Kontrol RKC, Temperatur Shimaden Temperature Omron, Temperature Honeywell, Temperature Controller Azbil / Yamatake. Temperatur Kontrol Chino, Temperature Controller Yokogawa, Magnetic Contactor Fuji Electric, Contactor Mitsubishi, Kontaktor LS, Contactor Teco, Magnetic Contactor Schneider Electric, Thermal Overload Relay Mitsubishi, Overload Relay Fuji, Overload Schneider, Thermal Overload LS, Auto Breaker / MCCB Schneider Electric, MCCB LS, MCCB Fuji Electric, MCCB Mitsubishi, MCB Domae Schneider, MCB Mitsubishi, MCB Fuji Electric, Circuit Protector Fuji Electric, Circuit Protector Mitsubishi, Inverter Fuji Electric, Inverter Mitsubishi, Inverter Toshiba, Inverter Schneider Electric, Inverter LS. PLC ( Program Logic Controller ) Omron, Program Controller Melsec Mitsubishi. Relay Omron, Timer Theben, Timer Omron, Timer Autonics, Timer Hanyoung, Timer Fotek, Timer Omron. Counter / Timer Autonics, Counter / Timer Hanyoung, Counter / Timer Omron, Counter / Timer Fotek. Kabel NYY, NYA, NYM dari Merek 4 Besar. Sensor Kabel, Proximity Switch, Photo Sensor, Photoelectric. Adapun Merek- Merek yang Kami Sediakan seperti : ABB, Fuji Electric, Mitsubishi, Autonics, Hanyoung, Fotek, Teco, Siemens, LS, Chint, Schneider Electric. Azbil / Yamatake, Honeywell, Sick. 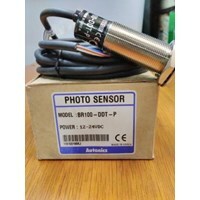 Photoelectric Sensor Switch AutonicsJual Photo Sensor BX5M- MFR- 1 Autonics-Negara Asal Produk: Korea- Volt: 24- 240 VACToko Listrik di Glodok Jual Produk Autonics Murah dan Lengkap seperti Photo Sensor BX5M- MFR- 1 Autonics serta photo sensor Autonics type lainnya : Photo Sensor BUP-30 Autonics, Autonics Photo Sensor BR4M, Photo Sensor b2m- ddt autonics, Proximity Switch PSN40 Autonics, Photo Sensor BEN3M Autonics, Photo Sensor Autonics BX700 Autonics, Proximity Switch PRT30- 15D0 Autonics, Photo Sensor BUD- 30 Autonics, Photo Sensor BR200-DDTN-P Autonics, Photo Sensor BR100 Autonics, Autonics BEN10M, Sensor BR300, Photo Sensor BX5M Autonics, Photo Sensor BEN5M Autonics, Autonics Photo Sensor BEN 300- DFR, Photo Sensor BEN10M-MFR Autonics.DUNIAELECTRICAL.COM: Harga Murah, Barang Berkualitas !!! Timer CounterTimer AT8SDN Autonics- Power: 100- 240 VacTimer AT8SDN Autonics adalah sebagai pengatur waktu bagi peralatan yang dikendalikannya. Timer ini dimaksudkan untuk mengatur waktu hidup atau mati dari kontaktor atau untuk merubah sistem bintang ke segitiga dalam delay waktu tertentu. Timer dapat dibedakan dari cara kerjanya yaitu timer yang bekerja menggunakan induksi motor dan menggunakan rangkaian elektronik. 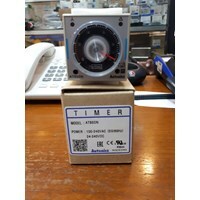 Timer yang bekerja dengan prinsip induksi motor akan bekerja bila motor mendapat tegangan AC sehingga memutar gigi mekanis dan memarik serta menutup kontak secara mekanis dalam jangka waktu tertentu.DUNIAELECTRICAL.COM: Toko Listrik di Glodok Jual Timer Murah seperti Timer AT8SDN Autonics, serta menyediakan produk Timer- Timer lainnya seperti: Timer Omron, Timer Hanyoung, Timer Fotek, Timer Theben, Timer Siemens dan Produk Autonics lainnya: Temperatur Kontrol Autonics, Counter Autonics, Counter / Timer Autonics, Proximity Switch Autonics, Photo Sensor Autonics. Temperature Fuji, Temperatur Hanyoung, Temperature Controller Fotek. Temperature Shinko, Temperatur Kontrol RKC, Temperatur Shimaden. Temperature Omron, Temperature Honeywell, Temperature Controller Azbil / Yamatake. Temperatur Kontrol Chino, Temperature Controller Yokogawa Magnetic Contactor, Thermal Overload Relay, Auto Breaker / MCCB, MCB, Circuit Protector. Inverter, PLC ( Program Logic Controller ) dan Program Controller Melsec. Relay, Timer, Counter, Counter / Timer. Kabel NYY, NYA, NYM dari Merek 4 Besar. Sensor Kabel, Proximity Switch, Photo Sensor, Photoelectric. ABB, Fuji Electric, Mitsubishi. Autonics, Hanyoung, Fotek. Teco, Siemens, LS, Chint, Schneider Electric. Azbil / Yamatake, Honeywell, Sick. 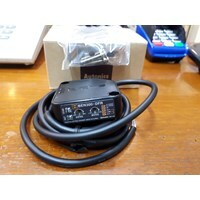 Photoelectric Switches Autonics Photoelectric Sensor SwitchAUTONICS PHOTOSENSOR.Autonics Photo Sensor BR100- DDT- P -Negara Asal Produk: Korea. - Volt: 12- 24 VDC DUNIAELECTRICAL.COM: Menyediakan Peralatan dan Perlengkapan Listrik sepertiPhoto Sensor Autonics.Autonics Temperature Controller, Timer Autonics, Counter Autonics, Counter/ Timer Autonics, PLC ( Programmble Logic Controller ), Inverter, Magnetic Contactor, MCB, Auto Breaker, MCCB, Circuit Protector, Kabel, Box Panel, Aksesoris Panel, Lampu,Temperature Fuji, Temperatur Hanyoung, Temperature Controller Fotek,Temperature Shinko, Temperatur Kontrol RKC, Temperatur Shimaden,Temperature Omron, Temperature Honeywell, Temperature Controller Azbil / Yamatake,Temperatur Kontrol Chino, Temperature Controller Yokogawa.Magnetic Contactor Fuji, Contactor Mitsubishi, Kontaktor LS,Magnetic Contactor Teco, Contactor Siemens, CONTACTOR SCHNEIDER ELECTRIC.Thermal Overload Relay, Auto Breaker / MCCB, MCB, Circuit Protector,Inverter, PLC ( Program Logic Controller ) dan Program Controller Melsec,Relay, Timer, Counter, Counter / Timer.Kabel NYY, NYA, NYM dari Merek 4 Besar. Sensor Kabel, Proximity Switch Autonics, Autonics Photo Sensor, Aksesoris Listrik Autonics, Photoelectric Autonics. 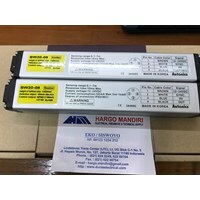 Adapun Merek- Merek yang Kami Sediakan seperti :ABB, Fuji Electric, Mitsubishi,Autonics, Hanyoung, Fotek,Teco, Siemens, LS, Chint, Schneider Electric,Azbil / Yamatake, Honeywell, Sick.DUNIAELECTRICAL.COM: Toko Alat Listrik OnlineJual Photo SensordanPhotoelectric Switch Murah.Photo Sensor Fotek, Photoelectric Omron, Photo sensor Hanyoung, Proximity Switch Omron.DUNIAELECTRICAL.COM: Harga Murah, Barang Berkualitas !!! 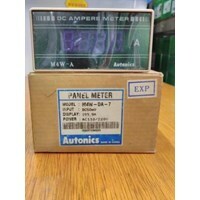 PANEL METER AUTONICS AUTONICS PANEL METER.Panel Meter M4W-DA-7 Autonics. -Negara asal produk Korea - Input : DC 50 MV - Display: 199.9 A - Power : 110/ 220 VAC.Produk- Produk yang Kami Jual: Temperature Controller, Timer, Counter, Counter/ Timer, PLC ( Programmble Logic Controller ), Inverter, Magnetic Contactor, MCB, Auto Breaker, MCCB, Circuit Protector, Kabel, Box Panel, Aksesoris Panel, Lampu dll. 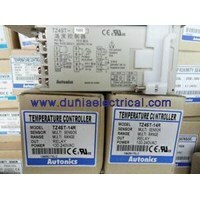 Temperature Fuji, Temperatur Hanyoung, Temperature Controller Fotek. Temperature Shinko, Temperatur Kontrol RKC, Temperatur Shimaden. Temperature Omron, Temperature Honeywell, Temperature Controller Azbil / Yamatake. Temperatur Kontrol Chino, Temperature Controller Yokogawa. Magnetic Contactor Fuji Electric, Contactor Mitsubishi, Kontaktor LS, Contactor Teco, Magnetic Contactor Schneider Electric. Thermal Overload Relay Mitsubishi, Overload Relay Fuji, Overload Schneider, Thermal Overload LS. Auto Breaker / MCCB Schneider Electric, MCCB LS, MCCB Fuji Electric, MCCB Mitsubishi. MCB Domae Schneider, MCB Mitsubishi, MCB Fuji Electric. Circuit Protector Fuji Electric, Circuit Protector Mitsubishi. Inverter Fuji Electric, Inverter Mitsubishi, Inverter Toshiba, Inverter Schneider Electric, Inverter LS. 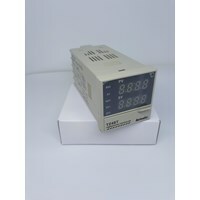 PLC ( Program Logic Controller ) Omron. Program Controller Melsec Mitsubishi. Relay Omron. Timer Theben, Timer Omron, Timer Autonics, Timer Hanyoung, Timer Fotek, Timer Omron. Counter / Timer Autonics, Counter / Timer Hanyoung, Counter / Timer Omron, Counter / Timer Fotek. Kabel NYY, NYA, NYM dari Merek 4 Besar. Sensor Kabel, Proximity Switch, Photo Sensor, Photoelectric. Adapun Merek- Merek yang Kami Sediakan seperti ABB, Fuji Electric, Mitsubishi. Autonics, Hanyoung, Fotek. Teco, Siemens, LS, Chint, Schneider Electric. 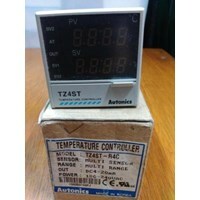 Azbil / Yamatake, Honeywell, SickDUNIAELECTRICAL.COM: Toko Alat Listrik Online Jual PANEL METER MURAH Seperti PANEL METER AUTONICS M4W-DA-7 serta Produk Autonics Lainnnya: Temperatur Autonics, Timer Autonics, Photo Sensor Autonics dll.DUNIAELECTRICAL.COM: Harga Murah, Barang Berkualitas !! !